PV128 has a lot to of new offerings lately. bestfoodKL.com went to Tappers a while back, and now there's M.A.D! M.A.D! 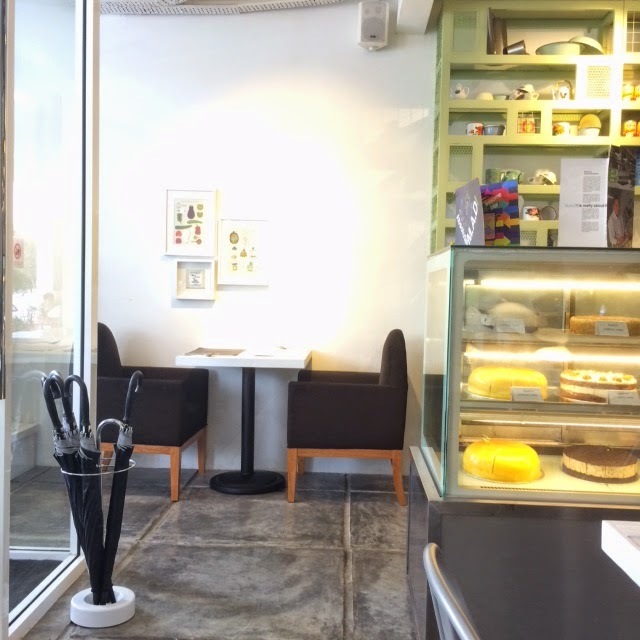 is the brainchild of Chef Dave Looi, the ex-Head Chef at Suffolk House Penang. 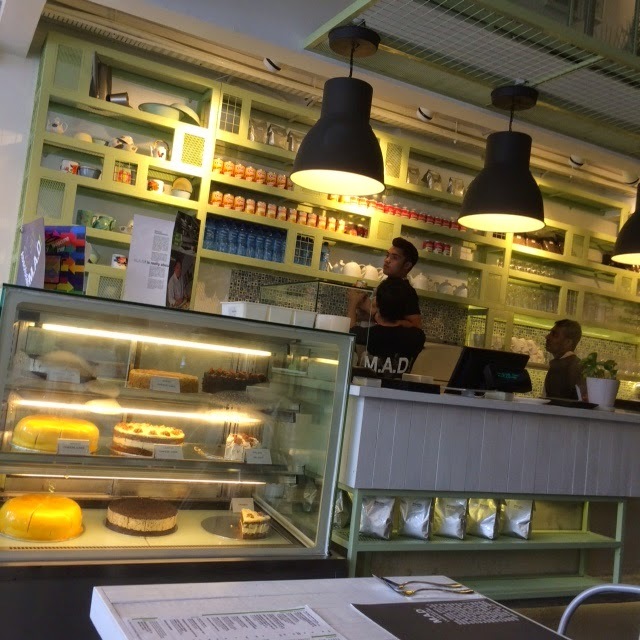 M.A.D offers fantastic flavours, combining age old recipes with quality fresh local ingredients. 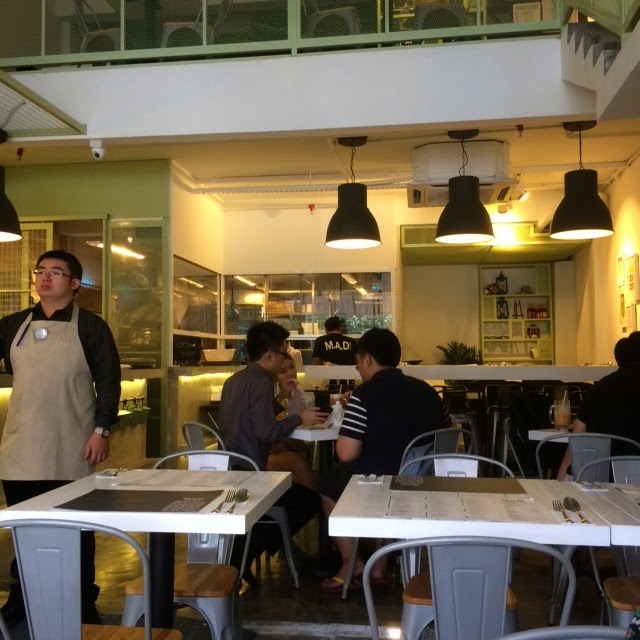 The space is smaller than I imagined it to be but don't worry, the restaurant spans over two floors. There's plenty of room. M.A.D! decor is welcoming. It's clean, cozy and not pretentious. 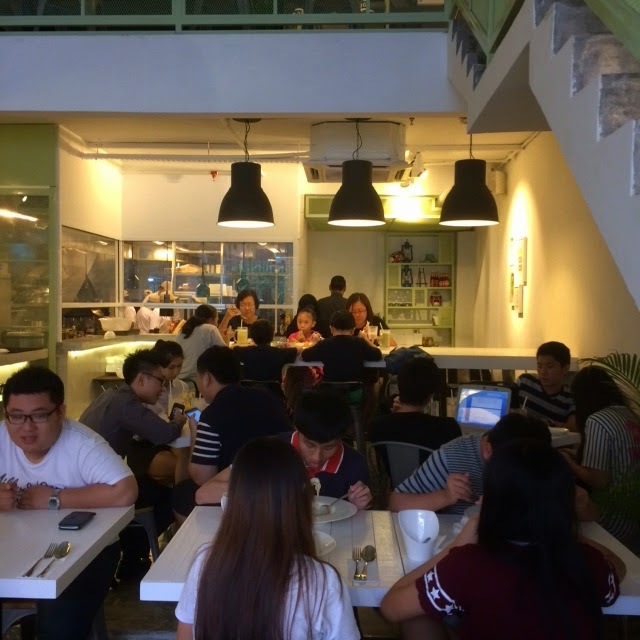 A great place to hangout with friends or just some alone time over coffee, especially for residents of Setapak and Wangsa Maju. 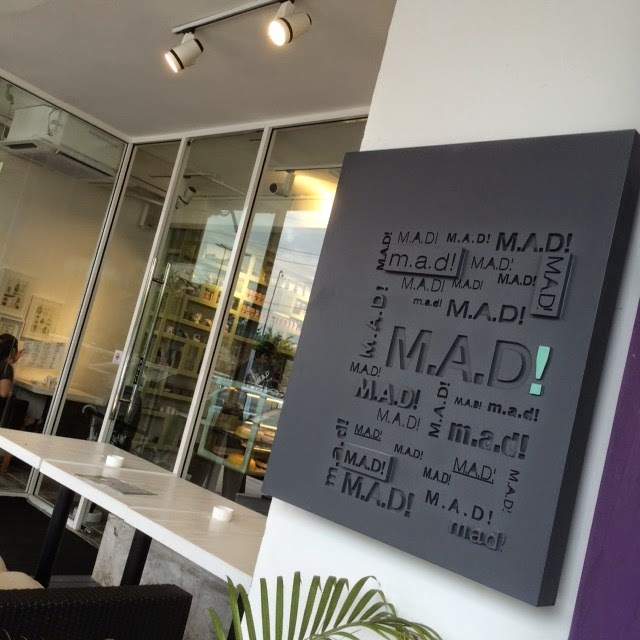 So what's 'mad' over M.A.D's menu? I was expecting some out of this world, 'crazy' combination. So what do they offer? There's Linguine Beef Bolognese (RM16.5), Curry Noodle (RM13.5), Chicken Rendang Sandwich (RM14.5), Rendang Lamb Shank (RM28.5) and more. The Homemade Meatball (RM11.5) sounds tempting, but it's under the Kids' Menu. Nasi Goreng Istimewa (RM15.5). Fried rice served with keropok, salted egg, cucumber coulis, sambal balachan, and thigh chicken rendang. I enjoyed the chicken rendang, could really taste the different spices. 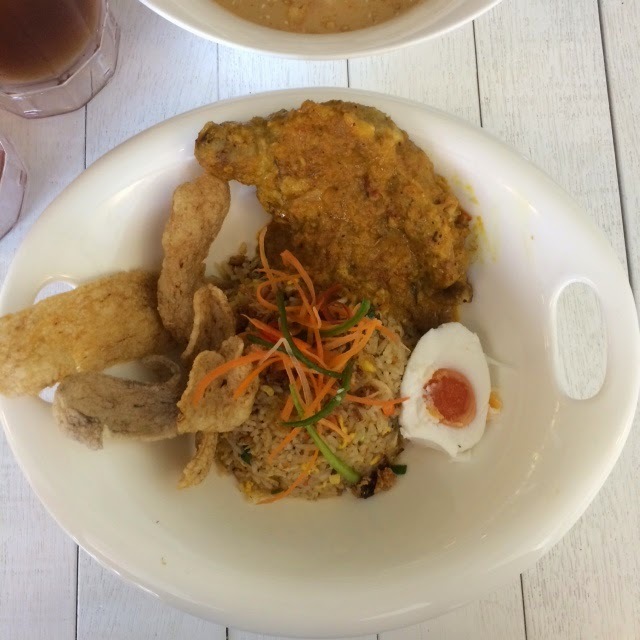 It blended well with each spoonful of the nasi goreng. 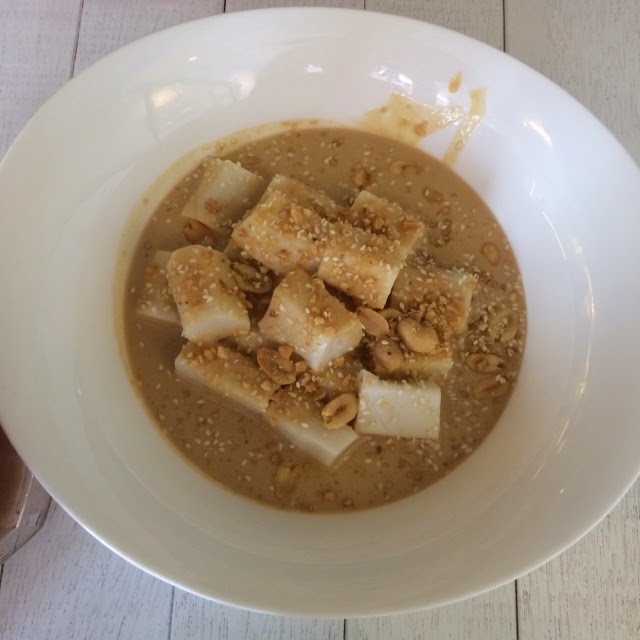 We had to order something "mad" so we went with this Chee Cheong Fun with Peanut Butter Sauce (RM9.5). My eating partner thought it was sweet. This combination might be a littler weird but I have to admit I like it. The peanut butter sauce is more watery than expected but of course, can't expect a spread of peanut butter right from the jar right? As for dessert, wanted to try the Sago Gula Melaka (RM6.5) but it was not available. 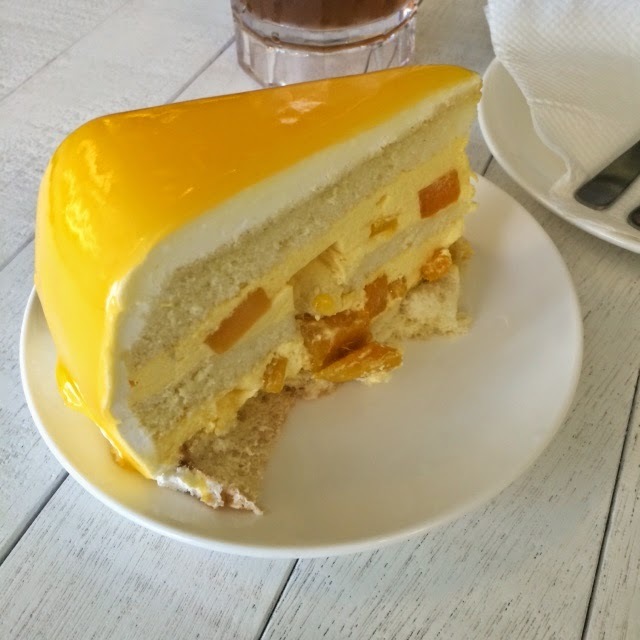 We ended up with this Mango Cheesecake (RM10). The staff are so friendly and attentive. From time to time, they'll check in with you asking you how's the food. That was nice of them. So if you're around the neighbourhood, give M.A.D! a try. Whether you need a cuppa or a full course meal, M.A.D! is a great place to chill and hangout! INFO: M.A.D! G-13, PV128, Jalan Genting Klang, KL. Tel: 03-4144 4567.